Martin Beckenbach began operating a small shop producing cut and sewn automotive products and custom climbing and flying harnesses. 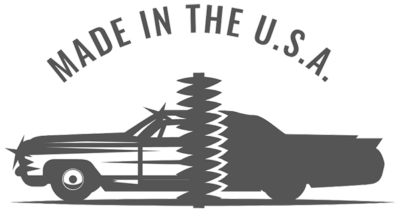 Began operations of a small automotive trim shop in Pennsylvania and began producing interior products for Mustangs, Chevelles and Camaros. Acquired numerous General Motors patterns and all Ford Mustang patterns. Relocated to Macedon, New York. Began directing efforts full time to automotive interior soft trim manufacturing. The concept of Legendary Auto Interiors was started. 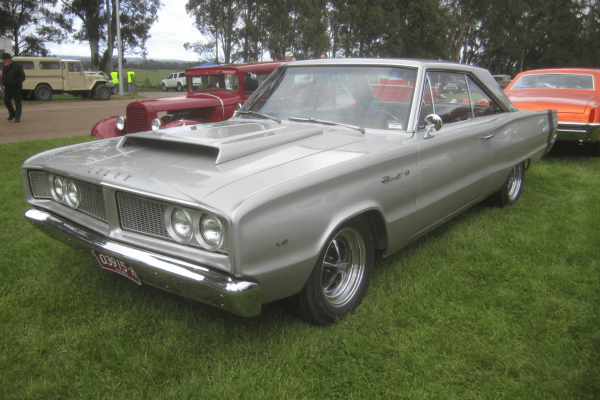 Due to the need and demand for high quality soft trim products for Chrysler, Dodge and Plymouth, efforts were changed and focused from Mustang and Chevelle interiors to supply this ever increasing demand for Chrysler, Dodge and Plymouth soft trim products to the market place. Legendary Auto Interiors Ltd. is incorporated. Continue to grow Chrysler, Dodge and Plymouth lines and expanded business in the next coming years. Company has 6 full time team members. Legendary continues to grow and introduces many new Chryler, Dodge and Plymouth patterns weekly. Company is now employing 20 full time team members. Constructed a New 12,000 square foot facility and moved to Newark, New York. Continue to supply the ever increasing demand and growth of the Chrysler, Dodge and Plymouth soft trim market. Legendary introduces some Buick Skylark and GS soft trim products in early 1991 and continues into mid 90’s. Company is now employing 25 full time team members. Legendary is hired to provide interiors in (4) 1971 Plymouth ‘Cuda convertible film cars for the upcoming 2006 police drama television show “Nash Bridges”. Expanded operations with the acquisition of additional 14,000 square feet of manufacturing and storage space. Operation square footage now totaling 26,000 sq feet. Legendary concentrates on completing the Buick Skylark and GS soft trim product line and further expands Chrysler, Dodge, and Plymouth lines. Staff increased to 32 full time team members. Develops full line of “Custom Vintage” floormats and continues to expand further into the floormat line. Developed and Patented its exclusive “Sure-Grip Anti-Skid Backing” for the “Custom Vintage” floormat line. An industry first! Legendary is hired to provide interiors in (5) 1970 Dodge Challenger R/Ts for the 1997 television remake of the 1971 cult film “Vanishing Point”. Legendary brings 1968-74 AMC Javelin and AMX soft trim products to the marketplace. National judges endorse the Legendary product line. Products become the industry standard for AMC interior restoration. The company supports 45 full time team members. Legendary continues to fill out all of its Chrysler and AMC product lines and begins to heavily expand into General Motors product lines. Legendary becomes the industry leader for its Chrysler, AMC and Buick Skylark/GS interior soft trim products. Legendary is hired to provide interiors for the 2001 movie “The Fast and The Furious”. Legendary brings 1964-72 Oldsmobile F-85, Cutlass, Cutlass S, Cutlass Supreme and 442 soft trim products to the marketplace. National judges endorse the Legendary product line. 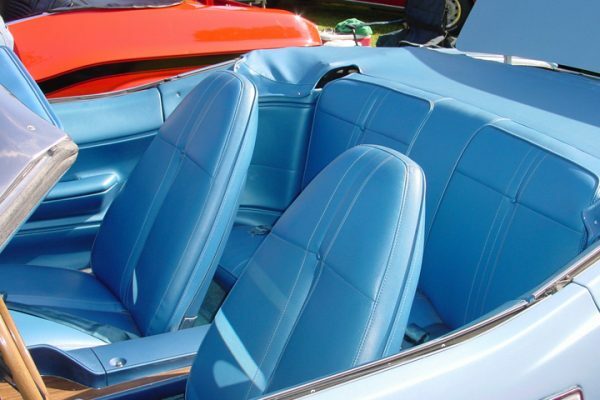 Products become industry standard for Oldsmobile interior restoration. Legendary is hired to provide interiors for the upcoming 2003 movie “2 Fast 2 Furious”. Automated CNC cutting is introduced to company manufacturing. The company supports 54 full time team members. Legendary brings 1964-72 Pontiac GTO, Lemans and Tempest soft trim products to the marketplace. National Judges endorse the Legendary product line. Products become the industry standard for Pontiac interior restoration. Legendary is hired to supply interiors for all (26) Dodge Charger stunt cars used in the making of the 2005 hit movie “The Dukes of Hazzard”. Small 1,000 sq ft addition added to facility for a total of 27,000 square foot. The company is supported by 82 full time team members. Legendary brings 1964-72 Chevelle, Malibu, and El Camino soft trim products to the marketplace. National Judges endorse the Legendary product line. Products become the industry standard for Chevrolet, Chevelle, Malibu and El Camino interior restoration. Legendary hired to provide interior for the 1970 Dodge Challenger R/T to be used in the making of the 2007 movie “The Bucket List”. Begins systematic upgrades of all tooling in an effort to further increase quality of all product lines. Full time team members grow to 84. Legendary provides the industry with the FIRST and ONLY “Lifetime Warranty” for all Legendary Auto Interiors, Ltd. manufactured products. The release of “LegendImagery” is first introduced to the industry. This proprietary process provides the most flexibility, cost effective and unique custom interiors available to the RESTO MOD market. Legendary releases a basic “Custom Design Center” for its molded Custom Vintage floor mat line. Customers may create their own Custom Vintage floor mats online. Begins the development of metal upper rails for all 1968-72 General Motors A-body pre-assembled door panels and rear panels. Waterjet cutting technology is introduced to company manufacturing production processes. Increased efficiencies in manufacturing processes, equipment and procedures leads to significant reduction in lead times. Continued expansion in the development of OEM materials never before offered in the marketpalce for both Chrysler and General Motors. Using the only NOS material known in existance, Legendary develops the highly sought after “Gator” grain vinyl top material used on 1970 Chrysler, Dodge and Plymouth models. 1968-72 General Motors A-body pre-assembled door panels are introduced with “as orignial” correct metal upper rails. 1970 Rebel “Machine” interiors are developed for the AMC market. Full time team members at 76. Legendary brings 1967-69 Camaro soft trim products to the marketplace including exact reproduction Houndstooth cloth. The highly anticipated 1968-70 Dodge Charger upper door pads project begins. Increased demand for General Motors soft trim products and the further expansion of Chrysler and AMC products requires and provides for an additional new 20,000 sq ft manufacturing facility and the renovation of other 13,000 sq ft areas. Legendary operations are now totaling in access of 44,000 sq ft. Further expansion into various CNC cutting processes, and material handling equipment and establishment of a full In house machine shop operation. Legendary brings Monte Carlo soft trim products to the marketplace. Awarded a “Best New Product” at the SEMA convention for its 1968-70 Dodge Charger upper door pads. Continuation of its Camaro line is expanded into 1970-1981 interiors. In addition, the development of 1967-81 Firebird and Trans Am soft trim products begins. Establishes TV relationship with the show “Chop, Cut, Rebuild”. First episode aired in December. Further episodes air throughout 2011. Legendary preparing for the release of its General Motors F- Body 1967-81 Firebird/Trans Am and 1970-81 Camaro soft trim products. Releases real Levant grain fitted vinyl tops for 1964-72 General Motors A-Body models. 1969 SC/Rambler interiors are developed for the AMC market. Opens the in-house trim shop where complete interior restoration services are available. Continuing relationship with “Chop, Cut, Rebuild”. Building relationships with the Discovery Channel and their television show “Desert Car Kings” by providing many original interiors. Legendary completes all 1967-81 Camaro and Firebird product lines and soft trim accessories. Products become the industry standard for General Motors F-Body interior restoration. Introduces many new styles of General Motors A-body and F-body door panel metal uppers for pre-assembled panels. Introduces 1963-65 Chrysler door panel metal uppers for pre-assembled door panels. The development of the 1966-72 General Motors and 1966-69 Chrysler Rallye sport seating systems is introduced to the industry. 1971-74 Gremlin, Hornet, Matador and Ambassador interiors are also added to the AMC product line. Legendary patents its General Motors and Chrysler Rallye sport seating systems. A first for the industry! A complete makeover of the website is completed and a full service Sample Request Center is made available, another first for the industry! Plans to release a Custom Design Center within the Second quarter. Legendary introduces metal upper rails for 1970-81 Camaro and Firebird/Trans Am pre-assembled door panels. Expansion and tooling upgrades for the Custom Vintage Floormat line begins. 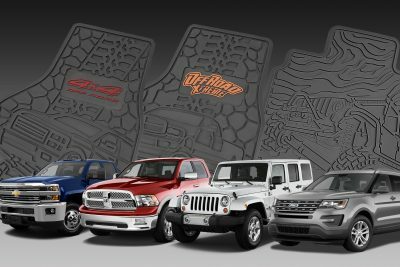 Legendary adds an additional 200+ licensed General Motors and Chrysler logos to its “Custom Vintage” floormat line making them the most diversified in the industry. Plans for a Chevrolet Nova line take place and some of the first Nova interiors are released later in the year. Building relationships with the Velocity Channel and their television show “Graveyard Cars” by providing many original interiors. Branded with the Legendary Auto Interiors, Ltd. name and components, the industry is given the most accurate flooring carpet ever offered. Expands into reproducing more cloth with the development of Hobnail and Lombardy for 1977-81 General Motors F-Body cloth interiors. Further expands on its Chevrolet Nova soft trim line. Services the Mercury hobbyists by manufacturing real Levant grain fitted vinyl tops for 1967-73 Cougar models. Continuing relationship with “Graveyard Cars”. Legendary supports an internal full time Connect & Development Department and Technical Support Department. Legendary introduces annually 50-100 new products per year that are Made in the USA!! Legendary Interiors have complimented many television shows such as: Chop Cut Rebuild, Desert Car Kings, Graveyard Cars, Hot Rod TV, Ride Makers, Home Delivery and Nash Bridges. 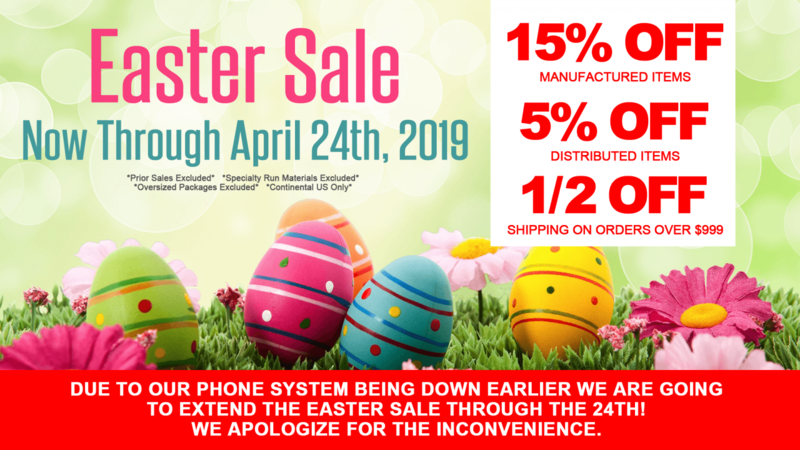 New York State Business Council, Wayne County Business Council, New York State Chamber of Commerce, Newark Chamber of Commerce and supports other local educational organizations and charities. 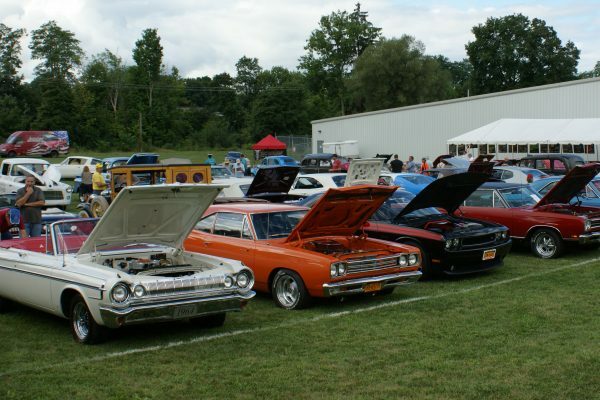 Legendary hosts its annual car and bike show where all proceeds benefit a local or national charity.